Hacking GMail Free Ebook Download. | Kanishk's Technical Blog. 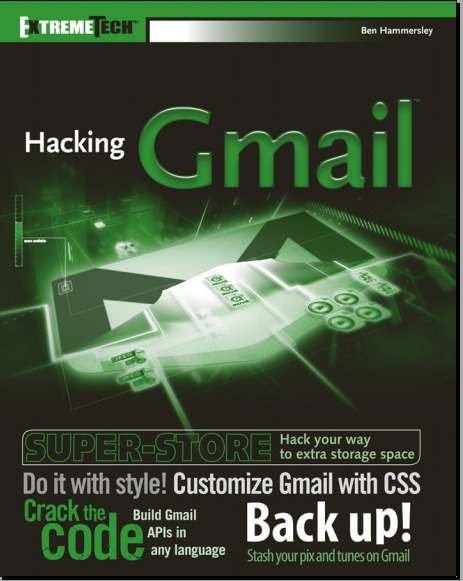 Hacking GMail Free Ebook Download. Today I'll Provide you with One More Ebook called "Hacking GMail". But Friends,this Ebook is nothing of the type as the Name of it suggests. As you can see form the above mentioned description,this Ebook Guides the Users to Use Gmail More efficiently with more options.You can Master over Gmail by reading this Ebook. You Can Find the Download Link for Hacking GMail Ebook at the end of this Post. Given Below is the Table of Contents of Hacking GMail. Part I : Starting to Use GMail. 2. Integrating Your Existing Mail. Part II : Getting Inside GMail. Part III : Conquering GMail. 13. Building an API from the HTML- Only Version of Gmail. Appendix : Long Code Listings. To Download Hacking GMail Click Here.